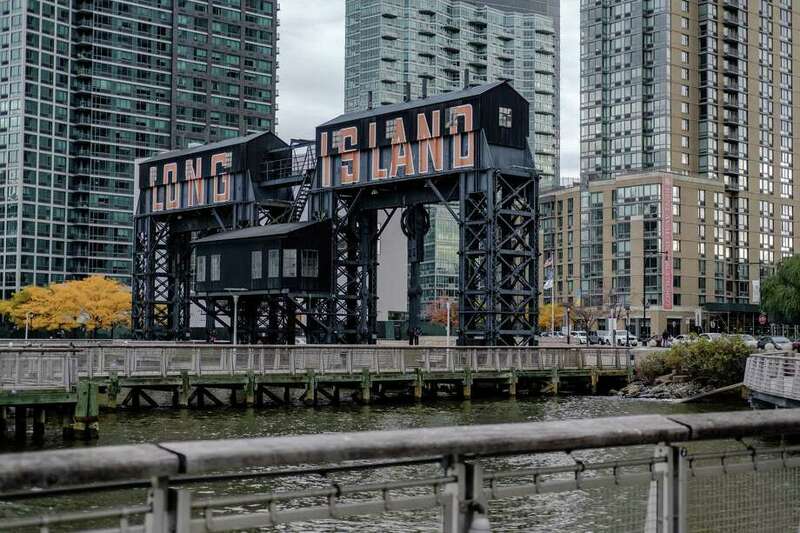 A gantry that reads “Long Island” is seen from Gantry Plaza State Park in the Long Island City neighborhood in the Queens borough of New York on Nov. 9, 2018. The Amazon.com executives looked battered after more than an hour of questioning last week about their plans to build an office in New York. City Council members thrashed the retailer for its resistance to unions, working conditions at warehouses and its founder’s wealth. The responses drew laughter from the balcony. Katz’s recommendations were incorporated into maps used in the formal review process to pick the zones, the people said. When New York Gov. Andrew Cuomo, D, a supporter of the Amazon bid, submitted the state’s list to Washington, the potential sites were included. The time crunch meant local input was welcome. After the IRS regulations were issued, a call was arranged with city officials, including Katz, who nominated about 300 zones, according to the people familiar with the process. New York had pitched four sites to Amazon in October 2017. Two were developed areas in Manhattan. The others-in Queens and Brooklyn-were gentrifying neighborhoods that Katz would recommend for the tax breaks. When the deal was announced in November, it faced criticism, and not just because of the hefty price tag-more than $2.5 billion in potential subsidies, almost all from the state. The governments also agreed to bypass the routine land-use review process, and the site Amazon picked was the same one where the city had been planning to build 5,000 apartments and a school. Plaxall Inc., which owns the privately held portions of the development site, has said it won’t seek tax breaks. Jodi Seth, a spokeswoman for Amazon, didn’t respond to questions about whether the opportunity zone designation had been a factor in the company’s choice of site or why it decided not to take advantage of the program.